Well here we are at mid week again. It's a kind of quiet and uneventful week which is good. As I posted yesterday I finished my newest design. I'm already starting on the 2nd. They're going up for auction to raise money for My Pelotonia ride. 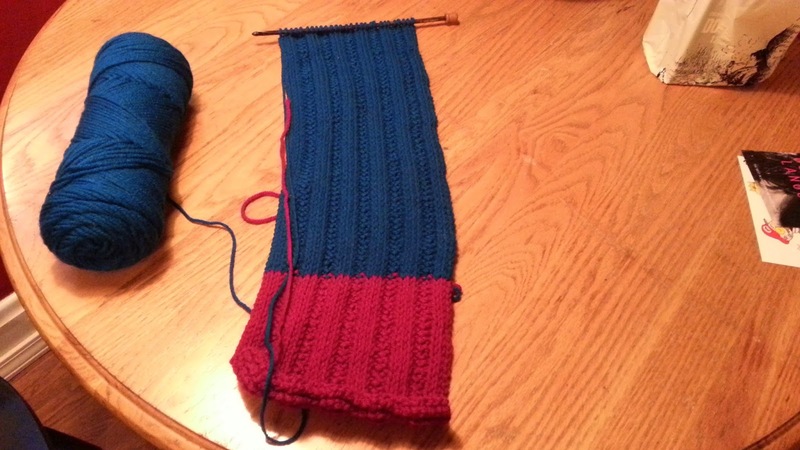 My scarf is coming along as well. I haven't worked on it a ton,but it's still moving forward. Haven't really touched the blanket or really anything else lately, but nothing is really on a schedule so I'll cut myself some slack there. Golly outside of that, not much is new. Things are getting back to normal at work and evening out a bit, so that's nice. And it's great working just one job and having one desk now. Well, short post tonight, but that's really all in my world for now. I hope everyone is well. Much love! !